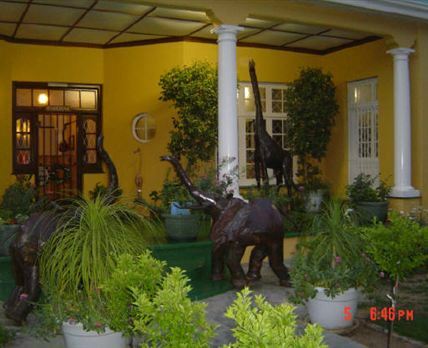 Profcon Country Cottages is situated in the beautiful rural town of Graaff-Reinet in the Eastern Cape Province. Over the years, we have grown to understand the needs of travellers, both from South Africa and abroad. This understanding has led to our guest house and cottages adhering to standards that are sure to dazzle even the most travelled of tourists. Leanne and her team will cater to your every need as you enjoy the luxury of our fabulous units and the hospitality and friendliness of our staff. There is simply no other guest house in Graaff-Reinet that caters to both travellers and business executives in the same class and style. We look forward to providing you with a place to rest in the Gem of the Karoo, Graaff-Reinet. Click here to enquire at Profcon Country Cottages.